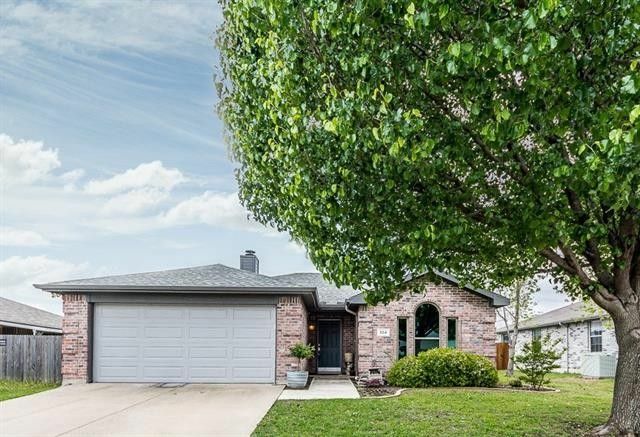 Under 200K in Collin County? with NO HOA! Wylie ISD! Charming 3 bedroom, 2 bath that boasts an open floor plan with a split master! The family room is highlighted with a wood burning fireplace. Large backyard with patio, perfect for the next cook-out and a 10 x 16 storage shed with a loft! RECENT UPDATES INCLUDE: 2016 new roof, radiant barrier, windows, fence, insulated garage door, all appliances, flooring, carpet and tile. Next to neighborhood park and baseball fields. Neighborhood located just off SH78, approx 12 min frm SH190, Geo Bush, 9 min. from 544. Directions: Head north on TX-78 N/Lavon Dr toward Town Center Blvd, Turn right onto Alanis Dr/W Alanis Ln, Turn left onto N Lake Dr, Turn right onto Lake Travis Dr&#xD;&#xA;If using GPS - it will take you to Lake Texoma instead of Lake Travis which is 2 streets over.